Del Mar is proud to introduce Del Mar mobile. This one-stop, one-source mobile app brings customer service to the palm of each patrons hand. 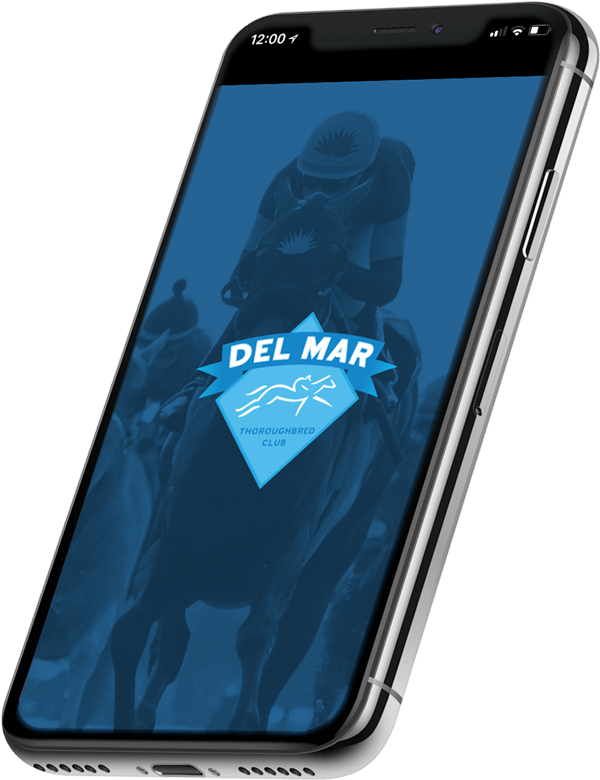 Can I bet on the Del Mar Mobile App from home? The wagering functionality works on site with the use of Del Mar's free wifi DMTC_Bets. How do I load money onto Del Mar Mobile to wager? Sign up for a Diamond Club Membership then go to a marked voucher machines, place your cash or voucher in the machine before entering your diamond club number on the screen starting with “858” and follow the on-screen instructions to fund. Is Del Mar Mobile a safe way to place my bets? Yes. Each person that signs up receives a mobile wagering card and an individual account and pin number. Why can't I open certain web pages from the Del Mar Wi-Fi? Del Mar has restricted access to streaming and certain classes of websites from DMTC_Bets. This decision was made to improve the speed and signal strength for those that wish to take advantage of this mobile wagering service. I lost my mobile wagering card. Can someone else access my account? If you have lost your card, please go to a Mutuels Information window. You will be asked security questions from your sign-up information and your old card will be canceled and a new card issued. Do I have the ability to change my pin number? Yes. We encourage card holders to change their pin number once you receive your account. What if I forget my new pin number, how do I retrieve it? Please go to a Mutuels Information Window to reset your pin. Go to a voucher terminal, hit the withdrawal button and follow the onscreen instructions. Once the Del Mar season is over, where can I access my account? Following the season you can withdraw your balance from the Diamond Club Account at Surfside Race Place (Del Mar Fairgrounds) or any Southern California racetrack or OTB location. You must have your Diamond Club card and pin number to make a withdrawal from a Self Service terminal. You can then exchange this voucher at a mutuel teller window for cash. How can I check my bet history and balance off-track?